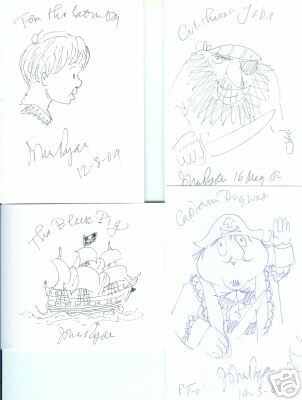 A set of 4 Captain Pugwash sketches, signed by creator John Ryan. This lovely rare collection of original John Ryan sketches were sent to a fan. and The Black Pig (his famous ship !) - Each individually signed. In 1957 Ryan was commissioned by the BBC to produce a series of animation shorts featuring the character, originally running from 1957 to 1958.
moved by hidden cardboard levers. Further episodes were commissioned almost twenty years later in 1974, and in all 126 episodes were made with the last airing in 1975. All signed sketches, in excellent condition. 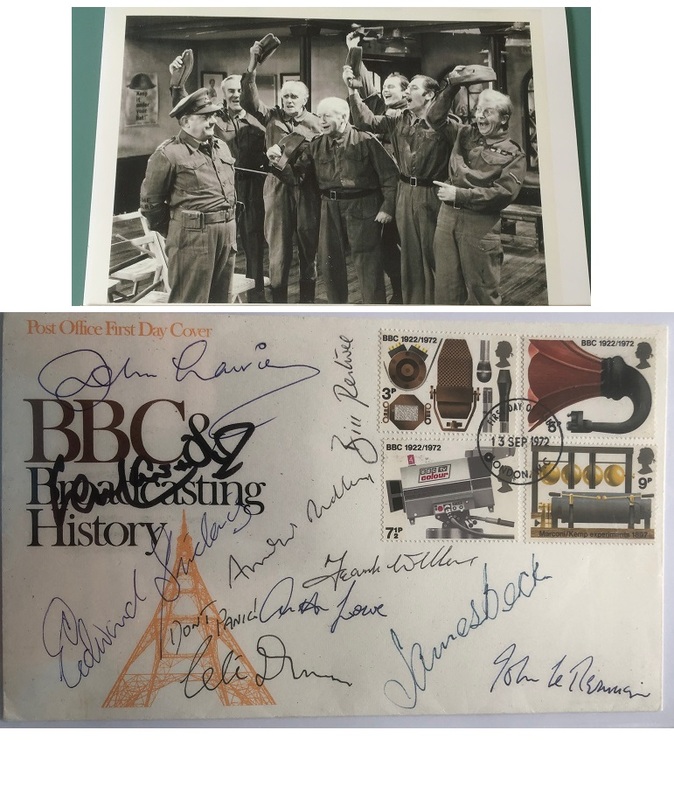 John Ryan (4 March 1921 – 22 July 2009) - Four individually signed sketches !